Marketing games is already a difficult challenge and marketing indie games is playing the marketing game on hard more. In 2015 game companies spent $630 million on TV ads with one company, Supercell, spending nearly $60 million themselves on 29 ads. 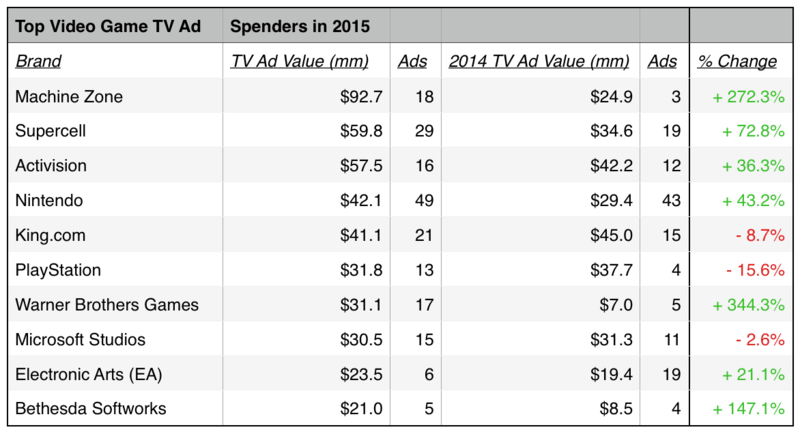 How can a small indie company compete with these big spenders? Many have tried and thankfully they have also documented their success and failures when marketing their indie games. One thing I have noticed this year is the death of the idea that good games will sell. Various talks and meetings I had at GDC have led me to believe that the industry has learned as a whole that marketing matters – a lot! As a result, here are some wise words that I’ve come across about how to get your indie game seen in this changing landscape. Hannah Flynn of Failbetter Games attributes success to having a very strong community, which she acknowledges can be a challenge. In indie games, your community is everything. The gaming community at large cares more about games than any other community I’ve worked in cares about anything. Their ratings, recommendations, reviews, feedback, fanart, streams and videos are worth their weight in gold. Investing in your community is crucial to your future. It’s not just your community that you are trying to build that matters, there are already many communities that you may want to consider joining. The TIGSource forum is one of the best known. To discover more communities take a look at the big list of indie development forums. Streamers use Twitch and YouTube because it’s presently a great way to get a large audience, which means you might want to do the same thing. Over at Wero Creative we’re trying that out. We’re streaming every Wednesday (3pm EST) this summer to see if people are actually interested in watching us make our games. You can stream like we’re trying or you can approach streamers. Both YouTube and Twitch are popular places for people to discover new games. Minecraft benefitted from positive exposure from streamers and you can too. The key though is have a game that is interesting for both the viewers and the player – try to think of ways the streamer can interact with viewers. The key to this approach is finding personalities who want to review the sort of game you are making. Reach out to them and hope that they want to review your indie game. Indeed, Pocket Gamer has a good summary of how to approach and work with influential streamers. Don’t know of any popular streamers? You’re lucky that somebody create a list you can spam: contact list off YouTubers – or don’t because spamming them will make them hate you. On that note, if you make things hard for streamers then they’ll likely ignore you or worse they’ll berate you. One way to be found is by putting yourself out there. In a world filled with emoji and GIFs and all that jazz one needs to utilize visuals effectively. Indeed, a picture is worth a thousand words and a GIF can be worth way more. Black Shell Games (now also a PR/marketing company) noted in a Reddit post that the key is visual media. Don’t spend week after week perfecting your copy down to a T if you could instead spend a few hours culling breathtaking video footage and screenshots that sell your game much better than text does. Even on the App Store and Play Store, the icon and screenshots are stunning for most hit apps, and encourage people to play the game. One way to get discovered is through being part of game bundles. Jaime Dominguez-Blazquez discovered this when promoting the game Vortex Attack, as well as other important notes, in his post mortem on releasing the game on Steam. Luckily for me, a few days after there was someone, Alie from Groupees (a site about bundles) telling me that placing my game in his bundle would help it to get extra visibility. … I just had to wait a month for the bundle to become active but it was great. We sold almost 4000 units; from that about 25% of the people took time to vote the game in Greenlight. At first, I thought it was pretty good as it ended up increasing my visibility permanently. Another way to get discovered is to find a publisher (which is a whole other can of worms). This used to be a really great and guaranteed way to have your game found because it let the studio focus on making the game and publisher focus on marketing. The catch is that over the years the role of the publisher has changed – and it depends greatly on the size of your studio and the publisher in how effective the relationship can be. Rob Remakes is incredibly skeptical about the benefits that a publisher can provide in terms of helping your game get the attention it deserves. As ever, there’s no guarantees here that a publisher can definitely get you pushed on sites you may not normally be able to reach (and this is also why PR and Marketing firms exist too, but that’s not for this post) but upping the odds, yeah? It’s not just about mailshots either, it’s about what we call mixers (where devs and journalists meet to talk about works) and show floors and organising demonstrations for the press and sorting keys out and so much more. It’s work. If none of the above is working for you then jump on to the current trend of in-app advertising and integration. Yes, the price point of your game is part of marketing mix, in short – your pricing strategy matters. That Wikipedia link is based more on physical goods than digital, but the core ideas apply to video games. A good publisher can probably help you figure out what price to sell at. The core problem with video games is that here never is a good price for them. Over at the Guardian Simon Parkin asks the question is the price of a video game ever really right? He examines expectations of the consumer and of the creator and how neither might not matter in the actual price. Similarly, the price of games themselves has remained fairly constant for the past 20-odd years: the blockbusters cost around £40-£50, budget and independent titles around £10, and phone and tablet games go for a couple of quid or nothing at all. The pricing is reflective of nothing much beyond consumer expectations. It often doesn’t account for the number of hours that went into a game’s production or the value and quality of the game itself. The attitude that a good game will sell on its own has changed and now indies are finding that they need to market games as much as create them. Marketing indie games is hard, but you can do it!